Manufacturing capabilities contribute to a company’s overall strategic strength. The ability to respond quickly to customers’ orders, or to ramp up production rapidly can be a powerful and difficult-to-replicate competitive weapon. 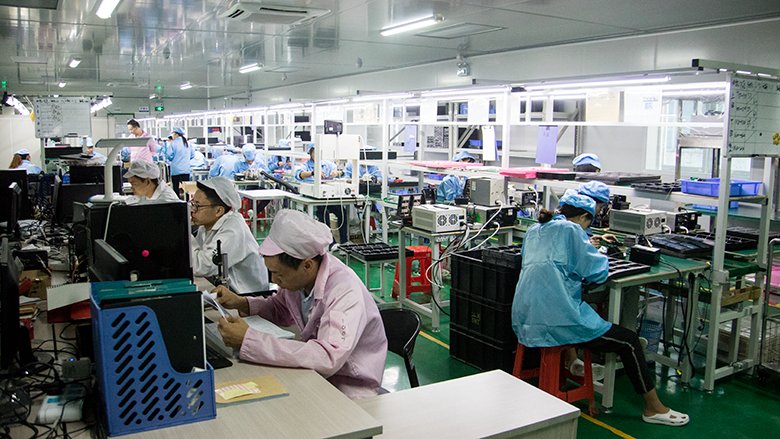 FiiO Electronics Technology Co., Ltd. operates one such manufacturing facility in Guangzhou, China. 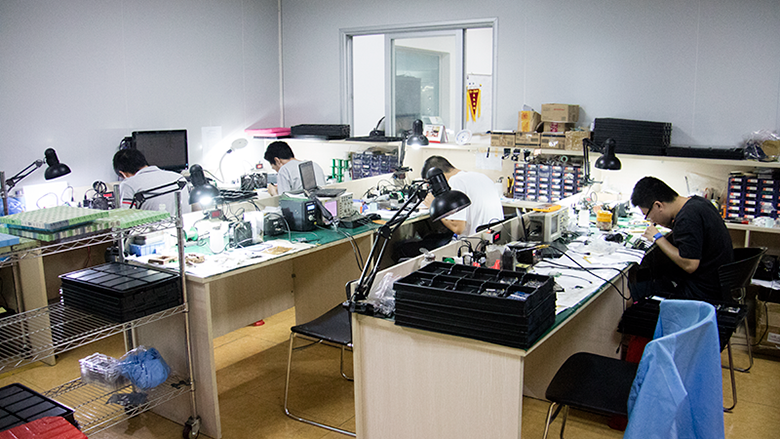 We go behind the scenes at the FiiO’s manufacturing facility to show you how they make everything from portable music players to digital audio analog converters. This was part of our visit to FiiO on the 2nd and 3rd of November 2017. 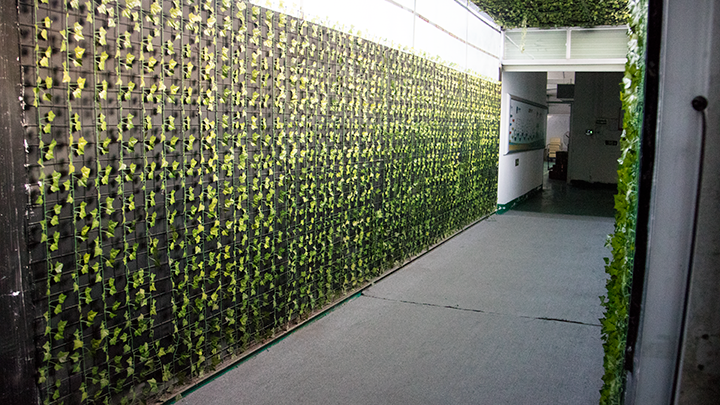 Located in the Baiyun district, the facility is 23.3km from the Guangzhou Baiyun International Airport by car and 600m from its corporate office at Kaiyue Building. The facility spreads across the 2nd level of two buildings in the Hougang Industrial Zone connected by their own linkway. The highlight of the facility has to be the 1,000 m2 dust-free clean-room which was recently commissioned in 2016. 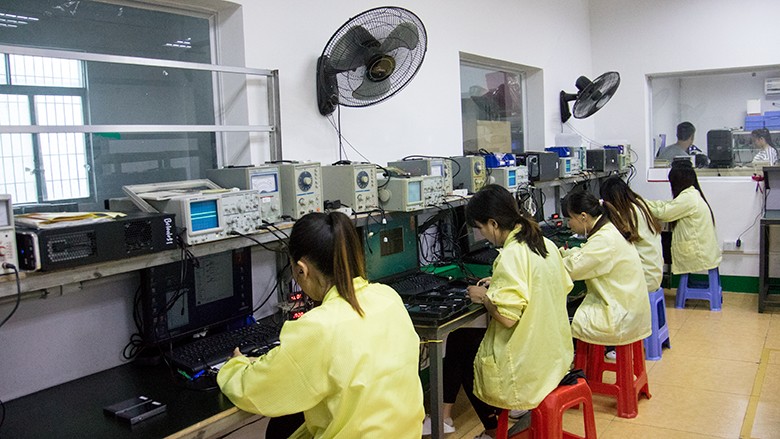 Assembly, integration and testing of electronic modules and sub-assemblies take place here, supported by 4 production lines which can be flexibly configured to meet the daily production plans and requirements. For example, the lines can be producing X7 MKII and TAISHAN-D03K today but the same lines can be producing the Q1 MKII and A5 tomorrow. The cleanroom also features sticky flooring which is the best way to take care of foot-borne or wheel-borne contaminates, ensuring a high standard of cleanliness. Prior to entering the dust-free clean-room, one is required to put on anti-static dust-free coats, caps and shoes-covers before entering an air shower cleanroom chamber which blows off any particles that could easily fall off people entering the cleanroom to eliminate any extra particles before entering the cleanroom. There are no exceptions. 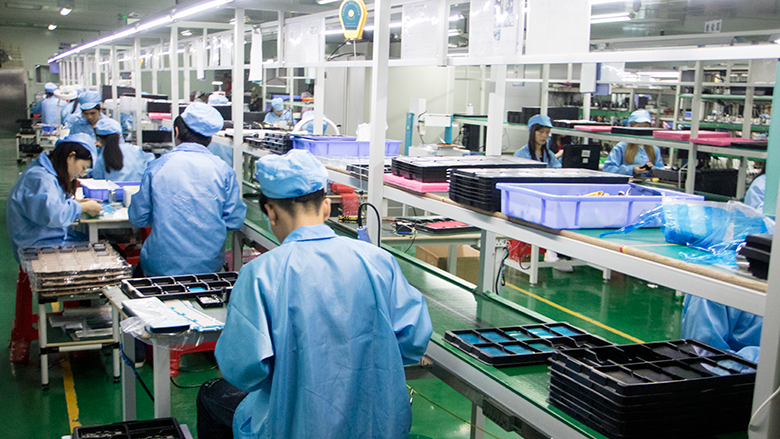 Every station on each assembly line is equipped with a production procedure guide detailing the procedures of production for the product which the line is running. These procedures are not cast in stone and can be optimised by the staff. It is interesting to note that at FiiO when more than 3 optimisation is done, a revamped production procedure is put in place. Each station is manned by a staff who has undergone months of training before being allowed to operate independently on the line. 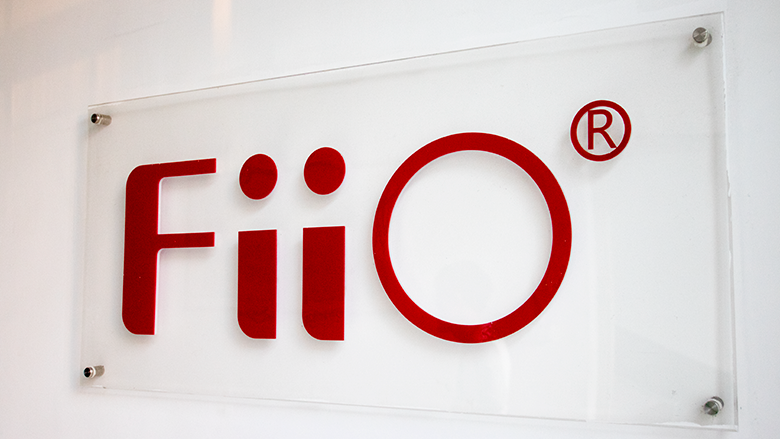 Known for its customer-centric approach; FiiO makes it a priority to provide an exceptional customer experience at the point of sale and after the sale. In the facility, the company has a dedicated division which takes care of product repair and service as part of the after-sales service for its customers. Before ending the tour, I was invited to visit the top floor, which is a big storage area, where FiiO stores its materials from all over the world for the production of its products. 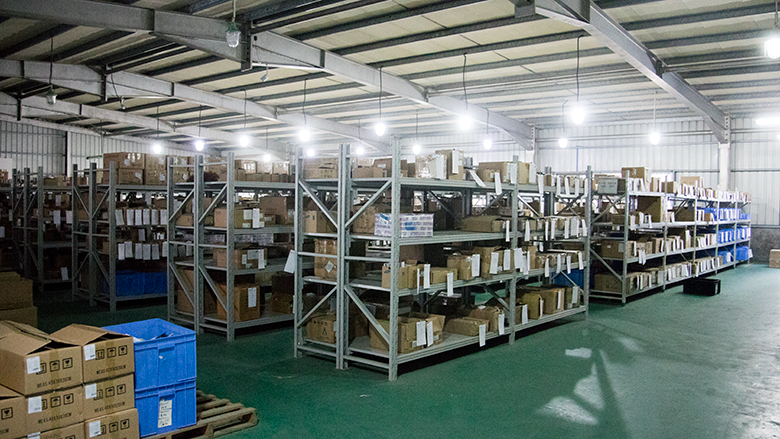 The storage area was well organised with proper tagging, it also includes stockpiles reserved for after-sales support. 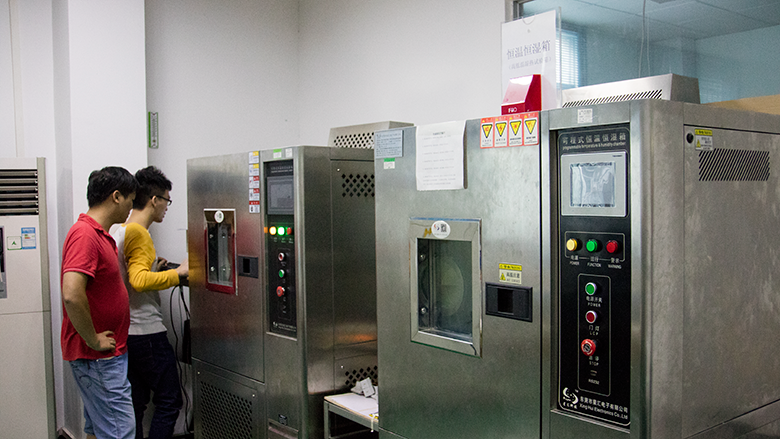 Located next to the storage area is a small division responsible for batch testing of materials before they are being fed into the production line. 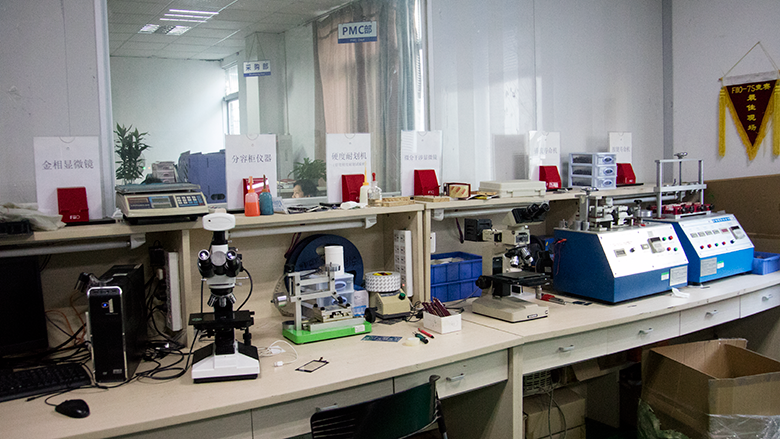 This allows for early detection of defective materials and is part of FiiO quality control procedures. I would like to take this opportunity to thank James, Kean, Sunny and Yellow for hosting Porta-Fi at FiiO and look forward to sharing more insights about FiiO in the near future.